Beer #962 is a lager brewed by Independent Breweries in Papakura, Auckland, New Zealand. A refreshingly clean, crisp lager with an enjoyable fruitiness and a slight bitterness. The bottle size is 330ML with an alcohol content of 3.50% (containing approximately 0.90 AU / 1.20 UK standard drinks), and it cost me $2.60. My Rating is 6.00/10 which means it’s a good solid beer and it comes recommended. Hi there, I wouldn’t have a clue unfortunately, I’m here in little old Adelaide. Have you tried Dan Murphy? 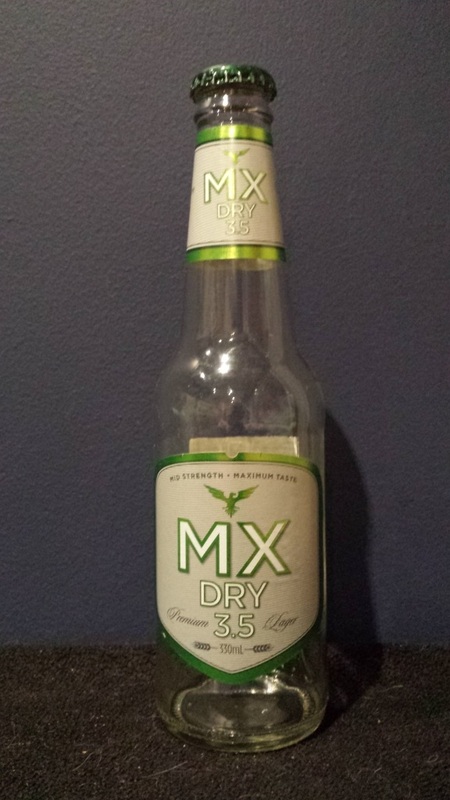 Just wondering if where I could buy MX Lager Beer 3.5 here in Nrisbane Australia?? ?